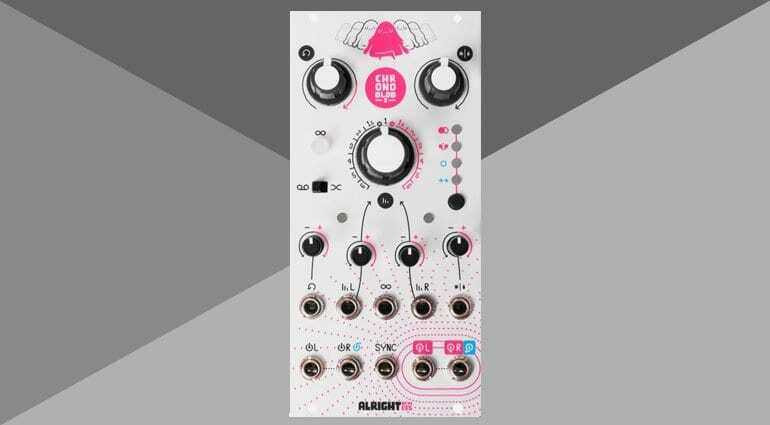 Alright Devices have announced that their seminal Chronoblob digital delay module is getting a big brother. Chronoblob 2 is here to squish and absorb all the shortcomings of the original and take its delay to new and exciting places. 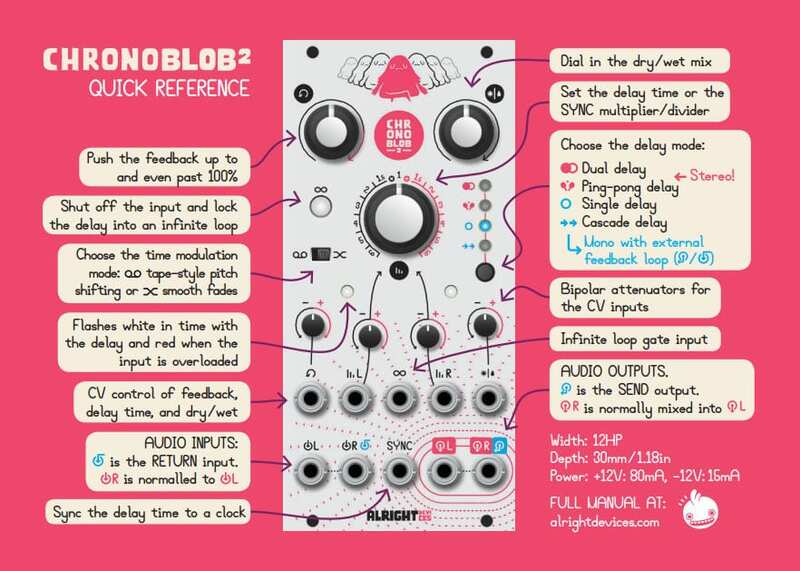 The original Chronoblob was a simple, instantly usable and creative digital delay. 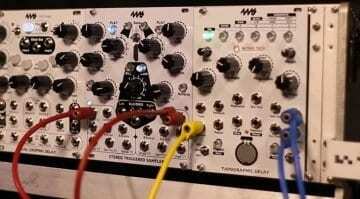 There were few other delay modules that nailed the combination of ease-of-use with cool functionality. In most peoples minds the only thing missing from this peach of a module was perhaps a stereo output. With Chronoblob 2 Alright Devices have indeed given it a stereo input and output but they’ve also expanded it in other ways too. Being a stereo effects unit gives it a number of new modes. 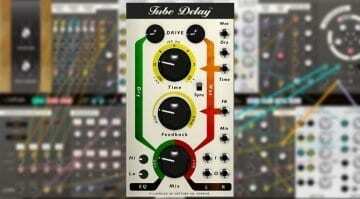 Dual Delay lets you use it as two mono delays and of course there’s now a Ping-Pong mode. 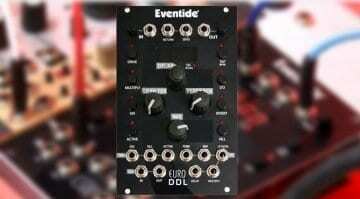 You can also use it as a Single Delay or Cascaded Delay where it has an external feedback loop. Feedback now goes past 100% and there’s an infinite loop to play with. 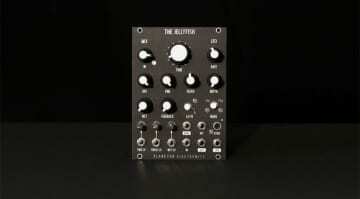 CV controls over feedback, left and right delay times and dry/wet mix all come with bipolar attenuators. A “Time Modulation” mode can be switched between tape-style pitch shifting or smooth crossfading. It’s slightly wider at 12HP and has 3 big knobs as opposed to 4 on the original. The big one in the middle acts as the delay time or the multiplier/divider when synced. It looks great and I hope is as cheery to play with as the original. It should be available any time now for $350. Alright Devices Chronoblob 2 page.